Hold on to your piping bags and spatulas! the Paul Bradford spring sale is on and they are offering up to 50% off his sweet annual course memberships. But before you rush off to snap up this incredible deal, let’s take a look at what this could mean for you and your bank balance! Access to the exclusive Cake Life online magazine. Step-by-step video tutorials for all skill levels. Tuition from the man himself, Mr Paul Bradford. 358 online cake decorating courses. Brand new, detailed course every week. Rolling subscription so you can cancel any time. Exclusive access to the PBSS members Facebook group. 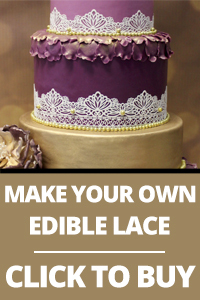 10% off ALL orders with The Cake Decorating Company. 10% off ALL orders with Karen Davies. 10% off ALL orders with Sturdy Cake Stackers. Includes everything mentioned in the free membership too! All of this for only £5.17 per month (down from £7.42) in the Paul Bradford Spring Sale! – sign up whilst you can > find out more. New PRO lesson added every week. Exclusive access to the PRO Facebook group. 15% off ALL orders with Sturdy Cake Stackers. 50% OFF Spotty Penguin design and print logo, flyer and stationery package. Includes everything mentioned in the free and premium memberships too! Available at an incredible price of £8.25 per month (down from £16.59) in the Paul Bradford Spring Sale! – sign up whilst you can > find out more. With over 1450 independent reviews on Feefo, Paul has achieved a 98% approval rating for his service. Great tutorials, good value for money and the Facebook page is really good as you see other people’s work, can ask questions and everyone helps each other. The process was simple and quick. Definitely recommend them to friends. Love the easy access to all the tutorials and the emails telling me what tutorial is coming next. Hopefully, you get to see for yourself how great it is to learn with Paul Bradford. Hurry though, the sale ends very soon!